Growing up as a child of the 80s and 90s the topic of children lifting weights was a controversial one. Most parents were told to keep their kids out of the weight room until at least high school and most of us didn’t touch the iron until college. Yet even in college it was the football players that predominantly did strength training while the other athletes ran and incorporated a narrow range of body weight exercises like push-ups and sit-ups. Precautions against the potential of stunted growth influenced most parents and young athletes to prefer a regimen devoid of strength training. Properly designed and competently supervised youth strength training programs may not only increase the muscular strength of children and adolescents, but may also enhance motor fitness skills (e.g., sprinting and jumping) and sports performance. Research evidence indicates that participation in a well-rounded fitness program that includes strength training may also decrease the incidence of some sports-related injuries by increasing the strength of tendons, ligaments and bone. During adolescence, training-induced strength gains may be associated with increases in muscle size, but this is unlikely to happen in prepubescent children who lack adequate levels of muscle-building hormones. Although the issue of childhood obesity is complex, youth strength training programs may also play an important role in effective weight loss strategies. Participation in an exercise program that includes strength training may provide an opportunity for all youth, including those who are sedentary or overweight, to improve their muscle strength, enhance their motor coordination and gain confidence in their perceived abilities to be physically active. things you can do for them. Now that we have cleared up the myth about the dangers of kids lifting weights the next step is finding someone to teach them how to safely and effectively strength train. 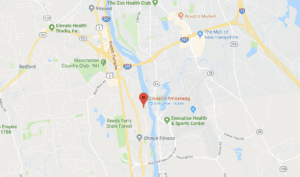 CrossFit Amoskeag’s youth program is a 10 week program dedicated to teaching your kids the basics of strength training while getting a great workout. Your kids will see both improvements in performance with decreased incidence of injury. Our 12-16 year old program begins Monday, September 10th at 4:30 pm and continues for 10 weeks and the 7-11 year old’s begin Tuesday, September 11 at 4:30 pm and continues for 10 weeks on Tuesdays and Thursdays. The cost is $12 per class for a total cost of $240.